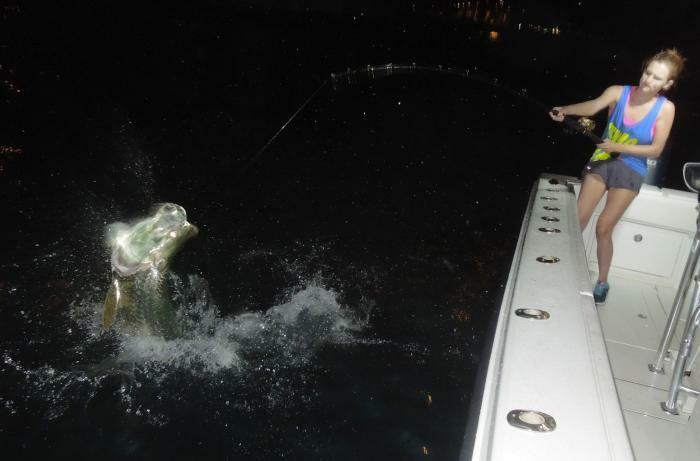 A Light Tackle Charter Fishing Adventure In Miami And Miami Beach Aboard The "Knot Nancy"
Captain Dave Kostyo specializes in live bait, light tackle Miami and Miami Beach fishing boat charters. 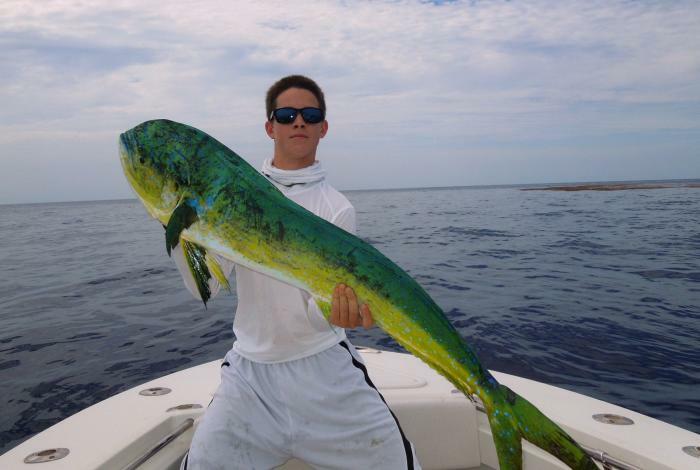 With over 23 years of charter fishing off the Miami coast, he has honed his fishing skills for tarpon, sailfish, kingfish, dolphin/mahi, amberjack, tuna, cobia, wahoo, and more!! Captain Dave's charter vessel, "KNOT NANCY" is a custom built 2014, 28 foot Whitewater center console fishing machine. Knot Nancy is equipped with Simrad electronics. She is powered by a set of twin Yamaha 200hp 4-stroke outboard engines from Bob Hewes Boats. She's always ready for year round charter fishing for sailfish, kingfish, tarpon, dolphin/mahi and more off the Miami and Miami Beach coast line. 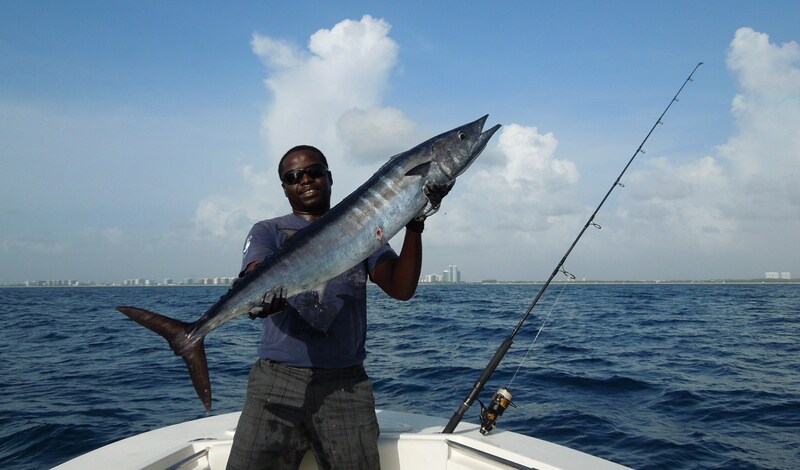 Your Miami charter fishing adventure begins with either a phone call 305-965-9454 or email nkostyo@bellsouth.net to Captain Dave. Let him know the date(s), how long you want to fish, and what type of fishing you'd like to do. 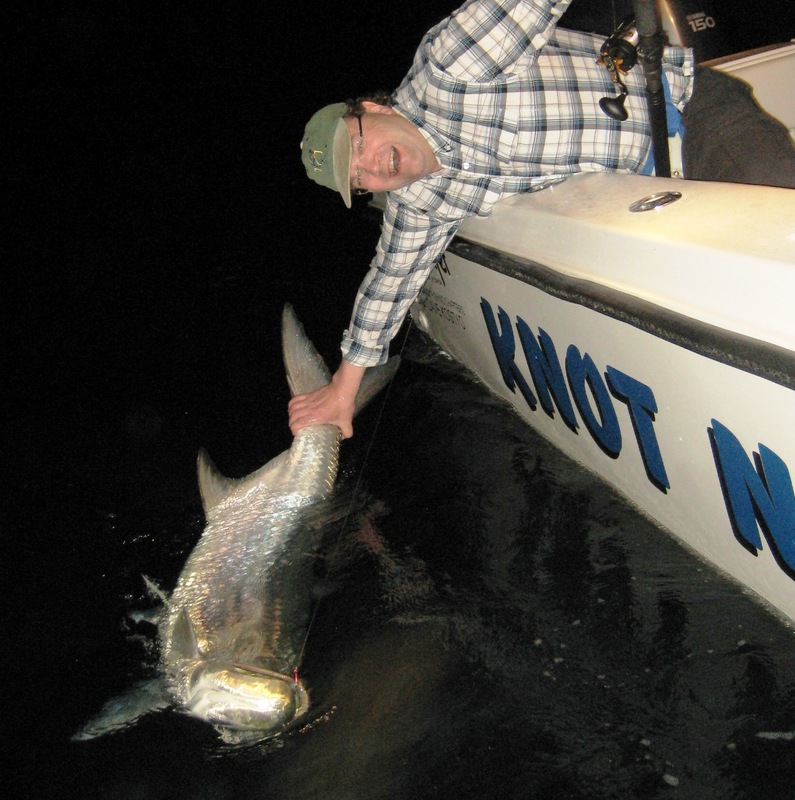 Knot Nancy is located just a short run to some of the best tarpon, sailfish, dolphin/mahi, and kingfish action that Florida has to offer. The short run means you’ll have more time with lines in the water and fishing. Everyone is welcome aboard regardless of your angling experience. 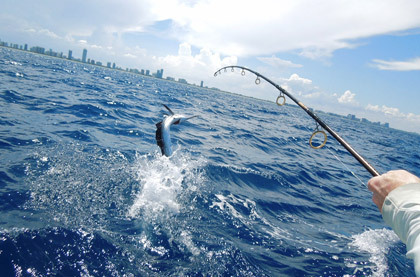 The Miami/Miami Beach coastline offers an excellent opportunity to catch a variety of fish while enjoying the warm sunshine and pleasant weather. For the serious angler(s), a charter fishing trip aboard “KNOT NANCY” will give you the opportunity to make a personal best catch, challenge yourself with catching a fish on light tackle, make a badge advancement in your fishing club, make a winning catch during a fishing tournament, check off a fish on your bucket list, or learn new techniques to improve your fishing skills. 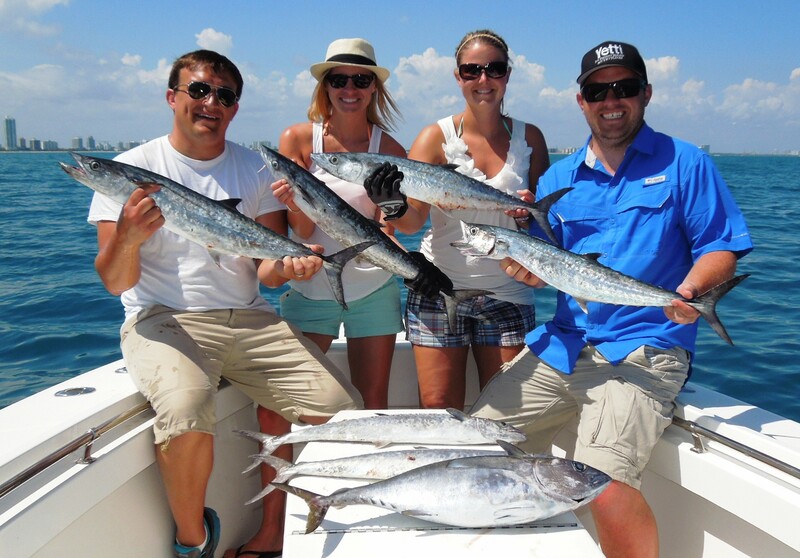 A Miami fishing charter aboard “KNOT NANCY” offers the casual angler a chance to renew old friendships, spend a day or evening charter fishing with a friend or client, or just enjoy a day or evening on the ocean fishing for tarpon, dolphin/mahi, sailfish, kingfish and more. 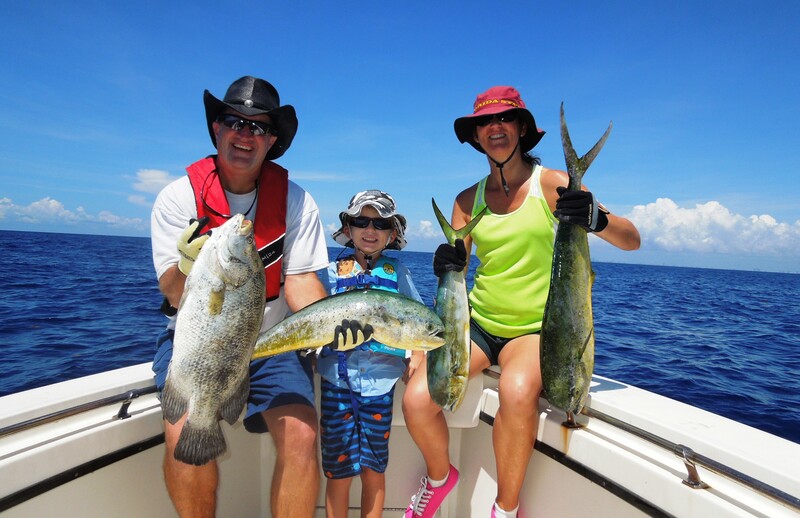 Make your Miami charter fishing experience a family affair. Spend quality time with the ones you love. Everyone in the family can participate in the charter fishing experience, and we can use light tackle that everyone can handle. It'll be a day or evening that will long be remembered. Come along with Captain Dave Kostyo and meteorologist, Jeff Berardelli as they catch tarpon at Government Cut at the south end of Miami Beach, Florida. On any given day or time of day fish will feed at different levels. Cover the water column using flat lines, kites, downriggers, and bottom rods to find out where the fish are feeding. Prepare all your tackle before heading out to the fishing grounds. When the fish are biting, that’s not the time to be tying hooks and leaders on your line. Check your fire extinguishers for corrosion.